Could You imagine a little beautiful thing that can show Your deep big love to someone important in Your life like this charming pendant? Have You ever known about the projection of love like this? 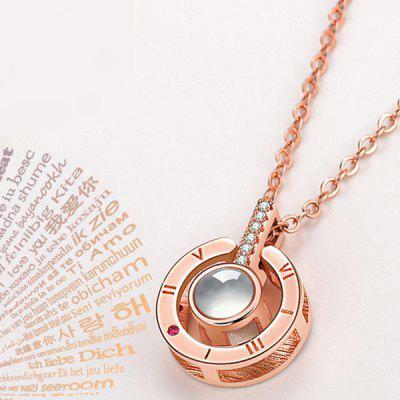 This Love Projection Necklace used nano-micro engraving technology to engrave "I Love You" in 100 different languages into the love stone, expressing love and sincerity, give surprise to who You love!